We’re Attending ICANN60 | Abu Dhabi! After Copenhagen and Johannesburg, the ICANN fraternity is all set for ICANN’s 60th Annual General Meeting, taking place in the capital city of the United Arab Emirates – Abu Dhabi. The meeting will commence on October 28, 2017, and will conclude on November 3, 2017, at the Abu Dhabi National Exhibition Centre (ADNEC). The primary focal point of all ICANN meetings is to showcase ICANN’s work, in terms of policy formation and revisions, and keep all the global internet players updated about the same. In addition to this, these annual meetings also provide a great platform to foster engagement between the ICANN board, key stakeholders and the members of the industry. 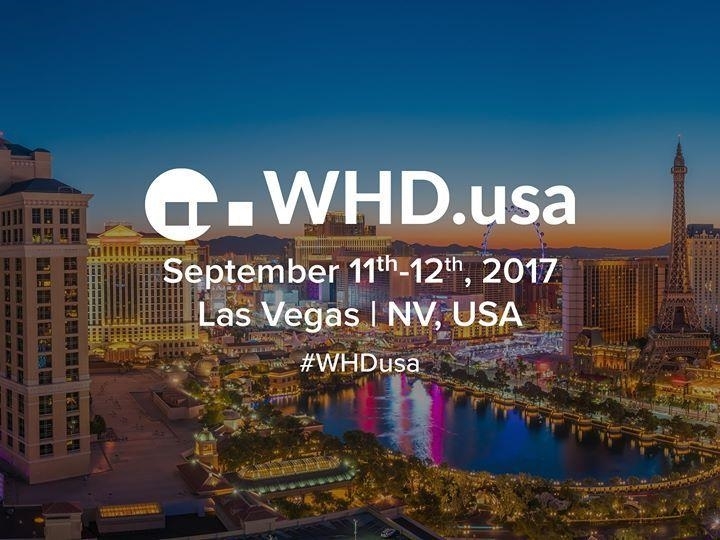 The WorldHostingDays fraternity is heading to Las Vegas for its 4th international conference of the year – WHD.usa 2017. Having started out as a conference which laid heavy focus solely on the Web Hosting industry, WorldHostingDays has gradually evolved and grown into a forum that addresses the internet technology industry and culture at large. Our industry has been stirred by a lot of technological developments in the last few years. DIY website builders is a shining example which belongs to this pool of developments. The need to have technical knowledge and coding abilities is no longer a prerequisite for building a website. Drag-and-drop website builder giants such as Weebly, Sitebuilder.com, Impress.ly, etc. are enabling the not-so-tech-savvy lot to build professional-looking, intelligent and responsive websites in a jiffy, by themselves. Meet Us at the GDD Summit! The sun has got its hat on and Madrid is all set to welcome the GDD fraternity in the next week. Unlike ICANN’s policy forums, the GDD Summit majorly focuses on addressing and seeking solutions for issues relevant to our businesses, as well as networking with and learning from real-life experiences of other players in our industry. We’ve seen a lot of movement in the industry since the last ICANN meeting – be it ICANN’s decision of enabling registries and registrars to easily opt-out of WHOIS-related contractual provisions when they clash with local laws, or ICANN trying to provide failover paths to dot-brand TLDs by testing emergency back-end registry operator systems. Most importantly, the GDD Summit provides the perfect mix of time, place and people for engaging in one-on-one discussions with the ICANN staff and getting more clarity on the “how”, “why” and “what next” aspects of things. As far as the New gTLD namespace is concerned, a recent ICANN-commissioned report highlighted that the lack of support for New gTLDs and IDNs is leading to the world economy facing a loss of almost $10 billion of annual revenue. Despite the fact that New gTLDs have been around for more than a decade now, the lack of awareness and a low adoption rate for New gTLDs still continues to prevent them from flourishing. This is an interesting time for players in the Domain Name industry to predict and strategize their business moves; and what could be a better conference than the ICANN GDD Summit to indulge in stimulating conversations like these! Eeshaan Satwalekar and Priyanka Frias will be attending the summit. If you’re planning to attend, click here to schedule a meeting with us.